Exactly this time, the same day, same month, last year, we were able to start our educational classes for refugee children. There were a lot of hard work from the founder members, the parents and the supporters behind this day. Numerous long meetings and discussions took place, the parents put together 5$ each to buy carpets, white board, few marker and some pens for the centre. The teachers had no clue on how to deal with students from different background and different grades stuffed into two small classes. We had only 18 students the first day. In one week our classes were full and we already had a waiting list. 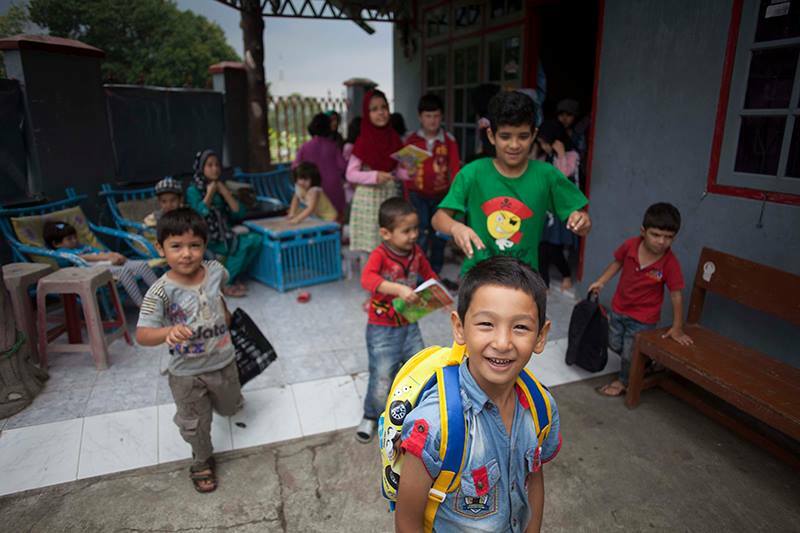 We were feeling proud to see smiling faces of the refugee kids with their school bags. They were happy, making friends and running all around for the first time in Indonesia. It was the solid beginning that provided us a launchpad to do much more for these forgotten kids in next few months. Special thanks to those who helped us to start this school. Mr Jolyon Hoff, Ms Caroline Sage, Ms Lucy Hamilton and Mr Angus Hamilton are among those pioneer supporters who tirelessly helped us even before the beginning.